If that password change email smells fishy, check the list first. Your Facebook account might not have your credit card or bank details, but it could have everything a crook needs to get them. 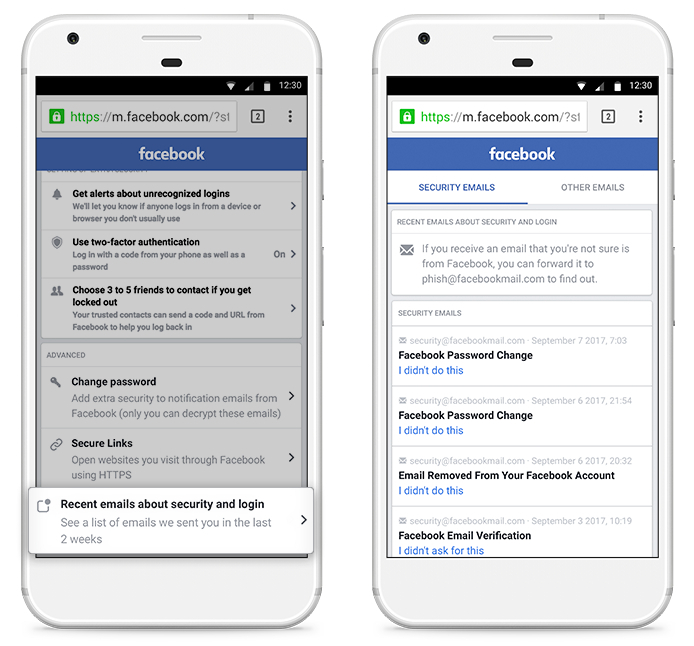 To protect you from phishing schemes designed to steal Facebook log-ins, the platform is arming you with information that can be easily accessed in the settings page. The social network now lists the latest security emails it sends out. Every time you get message in your inbox asking you to change your password or email -- and it smells fishy for some reason -- you can check the list first and verify that it's really from the company. Facebook typically uses addresses ending in "@facebookmail.com" for its security emails, but as you know, phishers can spoof accounts and make their messages look legit. If you miss the flaws and irregularities that usually give phishing schemes away, such as spelling and grammar mistakes, then you really might fall victim to them. Of course, you'd have to make sure you're visiting the real Facebook website whenever you want to access the list, so you'll still have to make it a habit to open a fresh tab and type the URL yourself. Found an email not in the list? Facebook is encouraging you to report it to phish@fb.com.